Much of the information given here is taken from: "All Saints Nocton: History and Guide" by Charles Kightly (Diocesan Tourism Consultant). Copies of Mr Kightly's booklet are available in the church. 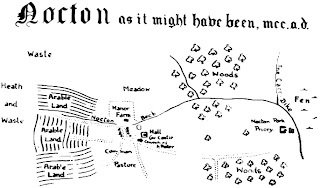 The earliest record of a church in Nocton is in the Domesday Book of 1086. 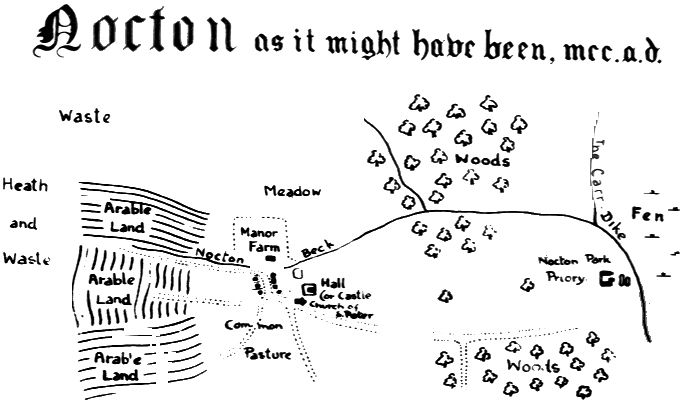 There is now no trace of this Saxon church, thought to have stood immediately south-west of Nocton Hall. In the mid-12th century Robert D'Arcy founded Nocton Park Priory, which stood about a mile east of the village. Its location can still be picked out in the shape of the ground. The Priory was a victim of Henry VIII's Dissolution of the Monasteries in 1536. The next church in Nocton was dedicated to St Peter and was close to Nocton Hall. 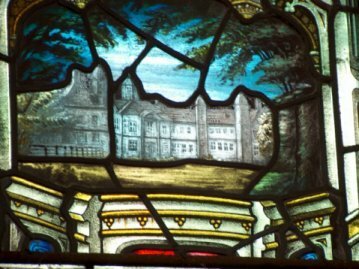 However, the owners of Nocton Hall, George Hobart (3rd Earl of Buckinghamshire) and his wife Albinia Bertie, did not like the church being "too inconveniently close to their mansion", possibly because of Albinia's taste for gambling (which led to the Nocton estate being temporarily mortgaged in 1786 to pay her debts). George and Albinia therefore had the church (illegally) demolished and a replacement built on the site of the present church. The location of St Peter's is marked by a rise in the ground south-west of the Hall. The new St Peter's, consecrated in 1775, was built in the then-fashionable "Classical style" with a small bell turret. 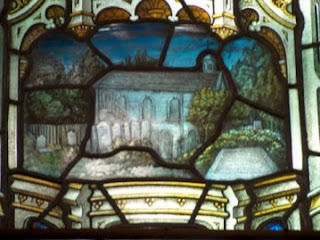 A picture survives in the north west window in the nave of the present All Saints. The younger son of George and Albinia, Henry Hobart, became Vicar of Nocton in 1815, and the following year also became Dean of Windsor, with duties attending to the spiritual needs of the Royal Family. When Queen Victoria's eldest son, later to become King Edward VII, was born, he congratulated her on "thus saving us from the incredible curse of a female succession" - not, perhaps, the most tactful thing to say to the Queen. By 1845 the western wall of St Peter's, described as a "small mean structure," was cracking dangerously and the whole building was falling into disrepair. The then owner of Nocton Hall, Frederick Robinson, Earl of Ripon, who had married George and Albinia's grand-daughter Sarah Albinia, intended to replace it, but died in 1859 before this could be done. His widow Lady Sarah took over the plan, intending to build the new church as "a monument of affection, erected by a Noble widow in memory of a Noble husband." The building was designed by Sir George Gilbert Scott in the "Gothic Revival" style considered mandatory for new churches in the Victorian era. 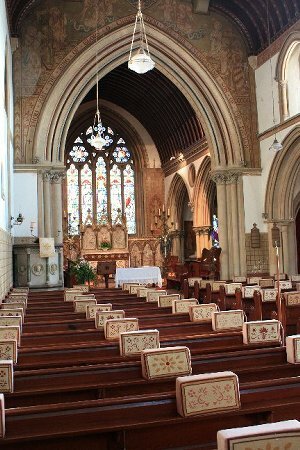 The "best" period of this Gothic style was the "Early Decorated" style, originally dated at about 1300, and Sir George designed the new church accordingly. The builder was Mr W Hudleston. Because Lord Ripon's birthday was 1 November, All Saints Day, his grieving widow changed the dedication from St Peter to All Saints. 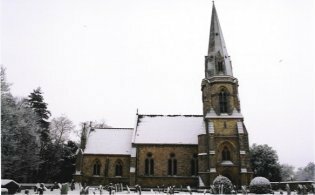 The church was consecrated on 16 December 1862, initially without the south aisle and south porch. These were in the original plans and were added in 1872 after Lady Sarah's death (in 1867) by her son "as a tribute of reverential affection to his mother."